My Tectonic Strain Theory is alive and well – a Blog by Dr. M.A. Persinger. Despite claims to the contrary, there have been a number of replications, corroborations, and validations of my work with the Tectonic Strain Theory from several independent researchers. Misleading claims that my work with Tectonic Strain Theory has not been replicated are based on the mistaken belief that its based on experiments. Instead, the theory is based on a series of statistical analyses (replication procedures are for experiments, not statistical arguments). To “replicate” a statistical study, one only has to obtain the data, and perform the necessary calculations. In such a case, it would be more properly said to have been “corroborated” or “validated”, not replicated. Critics, wanting to disparage my work in this field, have pointed to a “Haunted Room” experiment, and incorrectly implied that it was a test of my work on the relationship between geomagnetic conditions and the propensity to report paranormal and other unusual experiences. Question: Does Christopher French’s “haunted room study” have anything to do with your tectonic strain theory or the way you study the role of the earth’s magnetic field in paranormal experiences? Answer: No. French’s experiment has little (if any) relationship to the tectonic strain theory, which explains with the creation of luminosities (“lights in the sky”) before earthquakes. We have found that these correlate with UFO sightings, apparitions, and other phenomena. In brief, this theory tells us that electrical and magnetic fields produced by the bedrock while its being strained by the pressure that’s eventually discharged by an earthquake create luminous displays, like earth lights, ball lightning, and sometimes dramatic lights in the sky. We also find that these fields can create unstable conditions in the brain, especially the deep portions of the temporal lobes. This instability can lead to hallucinatory experiences which people interpret in terms of their cultural and learning history as well as their private beliefs, so they are interpreted and then seen as spirits, the Virgin Mary, angels, alien spacecraft or ghosts. This idea has recently been independently proposed by another researcher, who hypothesizes that “ball lightning” may induce hallucinations (Witze, 2010). My first publication in the field (1976) used the same concept to explain UFO reports. French’s experiment consisted of trying to construct a “haunted room” by building a room and filling it with magnetic signals and infrasound. The experiment did not succeed. French is a well-known skeptic, but not experienced in the proper use of the “complex magnetic” neural stimulation we use in our lab. 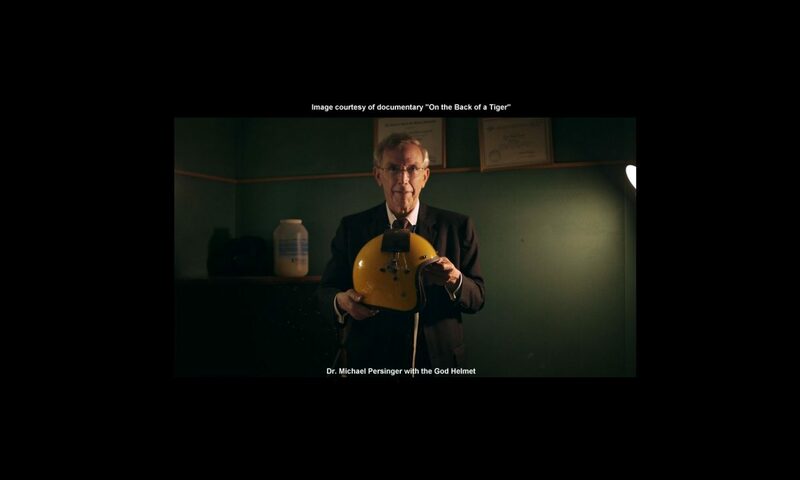 We have been able to successfully perform several experiments, inducing paranormal experiences, and apparitions, using this technology, applied using the God Helmet ®. The graph French refers to here is a graph of point (X axis) and Field strength (Y axis). However, the graph doesn’t display the durations of the points on the X axis. We have kept that specific parameter flexible in order to allow experimentation with different point (or pixel) durations. Incorrect point durations will yield ineffective signals. Our many experiments with varying point durations have shown us that precision in this regard is critical. A metaphor may be helpful here. It is as though we hear the phrase “clean the turpentine brushes” as “queen a serpentine buses”. The majority of the phonemes may be correct, but the information content will be absent, and the communication cannot initiate an appropriate response. My colleague Todd Murphy, who has developed multiple systems that effectively deliver our (complex magnetic) signals points out in a brief web entry that Christopher French used the “Goldwave” audio editor to render his signals. Professor Murphy used this same method early in 1999 for the first draft of his signals, which did not work. His signals became effective only after he introduced his proprietary methods for developing the signals the following year. We validated their effectiveness in a paper published in 2004. The techniques used to render effective audio equivalents to our (God Helmet) signals were not applied in French’s Study. Prof. Murphy informs me that his signals were drafted eighteen times overall. French (at al.) edited his signal ” into a 16-bit.wav file using Goldwave (software) at a sample rate of 1000 Hz for playback via the computer’s soundcard.” It may be relevant that Murphy’s signals do not use this sampling rate. Subjects in our experiments are informed that they are participating in a “relaxation experiment”. French’s subjects were “… informed in advance that they might experience unusual sensations whilst in the chamber …”. The difference in “priming” may have predisposed his subjects towards apprehensiveness, and facilitated arousal, which we have found reduces effect sizes. It may also be relevant that the background sound levels in the French study were significantly above the values we require to obtain the sensed presence. That’s why we employ the echoic (acoustically silent) chamber. When we first started the research 30 years ago we employed New Age Music while the fields were presented and found the sensed presence was actually reduced. That’s why music was removed from the protocol. In addition, because the temporal lobes are discerning the applied fields (as are neuroimaging profiles indicate) sound pressure from any source is also represented within the temporal lobes, and interferes with the effect. A significant portion of default mode temporal lobe excitation functions to monitor ambient sound. Employing a truly silent environment recruits this activity into the neural responses to the signals. Perhaps the most important difference between our procedures and those employed by French (at al.) is that they used a room to apply the signals, while we utilize a helmet, designed for the human head. Our equipment allows us to apply our signals to either the left or right temporal lobes or both. This allows us to perform our stimulation sessions with more than one hemispheric presentation. Our “sensed presence” protocol involves stimulation of one hemisphere (the right) with one signal (derived from a “chirp” sequence) followed by another signal over both hemispheres. This optimal design for eliciting the sensed presence has been published in the literature. Utilizing an entire room to apply the signals means that 1) brain regions outside the temporal lobes are not excluded from the stimulation, and 2) it becomes impossible to target only one of the temporal lobes, as we commonly do in our work. In fact, we have applied our signals in the context of a whole room, and found that whole-body exposures have minimal effects, if any, even when the signals are correctly configured. We did not publish the study, due to its trivial character, and the non-trivial efforts required by scientific journals for publications. There are a few online sources that mistakenly claim that our work in this area has not been replicated. This is not the case. Several researchers have confirmed our ideas about “earthlights”, and the idea has, in fact, become commonly-accepted (as for example in Smithsonian Magazine), though there continues to be debate on the subject. A direct replication of some of my research appears in a study by Thériault (2014) titled “Prevalence of Earthquake Lights Associated with Rift Environments” in Seismological Research Letters. NASA now recognizes earthquake lights as precursors for earthquakes (Bluck, 2001). Japanese researchers (Takaki, 1998) have also observed “Change in seismic stress releases piezo-compensating, bound charges due to changes in the piezoelectric polarization of quartz grains in granitic rocks, which produces an intense electric field at the fault zone. The excited or ionized molecules by free electrons accelerated under the electric field produce luminous phenomena in the atmosphere” The also proposed “A model of dark discharge in the atmosphere before a large earthquake was proposed to elucidate the mechanism of generation of earthquake lightning and related electroatmospheric phenomena. Change in seismic stress releases piezo-compensating, bound charges due to changes in the piezoelectric polarization of quartz grains in granitic rocks, which produces an intense electric field at the fault zone. Researchers at Rutgers University have carried out experiments that support the concept of earthquake lights by emulating earthquake conditions in the lab (Shinbrot, 2012). These are reported as often being mistaken for UFOs, as in my tectonic strain theory of unusual events. 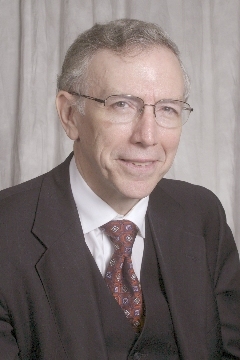 John Derr, a pioneer in this field of study, was one of the first to propose that geophysical strain could explain earthlights, and other luminous phenomena (Derr, 1986). Paul Deveraux has published several books of his independent investigations showing the association of these earth lights with paranormal phenomena, which constitutes a replication and confirmation of my work in this area. To summarize, Christopher French’s “haunted room” experiment was not a test of the tectonic strain theory in any way. This theory has been independently validated, both in its geophysical hypothesis (that geological strain prior to earthquakes produces earth lights) and its power to explain paranormal (apparitions and UFOs) phenomena. The theory met with criticism from one researcher, soon after it was published, and I published a reply. I hope this blog will help to clarify my Tectonic Strain Theory, and to underscore that I am far from alone in these concepts. French CC, et al., The “Haunt” project: An attempt to build a “haunted” room by manipulating complex electromagnetic fields and infrasound, Cortex (2008), j.cortex.2007.10.011. Persinger, M. A., Transient geophysical bases for ostensible UFO-related phenomena and associated verbal behavior? Perceptual and Motor Skills, 1976, 43, 215-221. Witze, Alexandra. 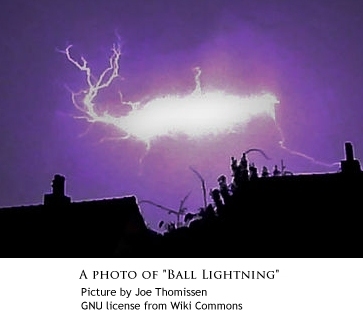 “‘Ball lightning’may be hallucinatory.” Science News (2010): 12-12. Tsang EW, Koren SA, Persinger MA. “Electrophysiological and quantitative electroencephalographic measurements after treatment by transcerebral magnetic fields generated by compact disc through a computer sound card: the Shakti treatment.” International Journal of Neuroscience. 2004 Aug;114(8):1013-24. Shunji Takaki, Motoji Ikeya “A Dark Discharge Model of Earthquake Lightning” Japanese Journal of Applied Physics 09/1998; 37(9A):5016-5020. P. Devereux, “Earthquake Lights Revelation,” Blandford, London, 1989. Conesa J. “Isolated sleep paralysis, vivid dreams and geomagnetic influences: II. Perceptual and Motor Skills. 1997 Oct;85(2):579-84. Persinger, Michael ; Krippner, Stanley. “Dream ESP and Geomagnetic Activity” Journal of the American Society for Psychical Research, 1989 Apr v83 (n2):101-116. Persinger MA. “Out-of-body-like experiences are more probable in people with elevated complex partial epileptic-like signs during periods of enhanced geomagnetic activity: a nonlinear effect.” Perceptual and Motor Skills. 1995 Apr; v80 (2):563-9.